Thanks, as always, to the wonderful Alex J Cavanaugh for hosting. You can find all the info and see links to other participants on Alex’s blog. This will be the 17th month I’ve participated. I will, one day, go back and read all my posts, but it will probably be very depressing lol…*thinks* ok, perhaps not! So how am I feeling this month? Well, fairly optimistic actually lol (makes a change). I know where I’m going with the rewriting and editing of both novels, I’m looking forward to starting Nano (and my new project) and I seem to be back into reading fiction, and enjoying it (rather than analysing it). So all is good with the world yeah? Now I’m feeling a bit overwhelmed lol. I’ve never been the type of writer who can juggle more than one project at a time, but it seems that a lot of writers do and that out in the real publishing world most authors are editing one novel while trying to write the next, due to their contract of a book a year. Its all a bit alien to me and I feel like I’m going to get confused. I’m used to doing a little bit of this and a little bit of that, challenges and prompts, but nothing I have to really concentrate on or commit to. So I’ve organised my schedule allocating different days each week to a different novel but I’m so tempted to just put one on the back burner and concentrate on the other. I’m not sure my brain can cope with all these characters at the same time, all shouting for my attention! 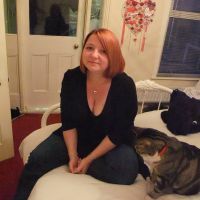 ← My Fun Meet-up with Fellow Blogger, Vikki Thompson! I do work on a few stories at a time. I find that I am inspired to write different things and I cater to that frame of mind when I decide which one to work on, but not all writers work like this. Though it makes sense in the traditional publishing world that authors need to juggle a couple of books at a time to make sure they meet the one per year quota. P.S. I almost can’t believe Nano is coming up soon!! Did the year really go by that fast? I guess I’m just being too hard on myself and probably trying to do too much (as usual lol). Glad you’re feeling optimistic. And I’m so looking forward to NaNo this year too. Mostly because I’m sick to death of the project I’m currently working on and need a break. I agree with Rebecca and that you have to find what works for you. My secret is trying to keep all my research notes in order though. I have shoe boxes with wrapping paper on (and some Irregular Choice ones that are cool enough by themselves) where I file everything away. Ha ha ha, I know THAT feeling! Don’t berate yourself for not wanting to get messed in the head for not wanting to do more than one thing at a time. Your way is probably saner. I do juggle lately, and my head starts to twirl at an epic speed. Do what works for you. Good Luck. I can definitely relate. I have been extremely overwhelmed the past couple of months with editing my eBook, planning out how to promote, blogging, reading, and still trying to get some writing in, which hasn’t ben as much as normal. But I’ve learned to do one task at a time, focus all my attention on it until I’m done, and then move on to the next item on my list. I would love to be one of those people who can juggle different projects at the same time but I can’t. I’ve tried and end up confusing myself and my characters. I have to stay immersed in one story at a time. Ahhhhh, you know exactly where I’m coming from then! You must choose the style that works for you. Mark Twain worked on two novels at a time: when one cooled for him, he switched to the other. But Dean Koontz works on one page at a time, fully editing it and then moving on. Have fun with your writing. Thanks for stopping by my blog. I’m still trying to get a handle on this bloghopping thing. I feel your pain about working on more than one project at a time. I’m trying to juggle three or eight right now as well. Problem is, I have a hard time focusing on more than one project at a time, so I just run with one for awhile and then suddenly redirect my passion to some other bright shiny object in front of me. I would get horribly lost if I tried to do more than one thing at a time. Multitasking is not a strong suit. I struggle to juggle with lots of proper projects, I never know which to focus on and end up abandoning them all. I need to learn to focus in one direction, while still being able to jot down notes when other ideas spring to mind. I feel like perpetually overwhelmed. If only Life would let me write! Not all of us! I can only work on one project at a time. Yes, it would be to my benefit to be writing, editing, and promoting all at once, but my brain can’t handle so many wires crossing. If your pace is one at a time and it works, don’t worry. I usually just do one story at a time. I feel better that way. The thought of not writing whilst editing another project is scary though. Stopping by from the IWSG… Hm. I can’t work on only one project. That is, while I may be going hammer-and-tongs on one, I have to have one or two in the wings, otherwise when I (*gulp*) finish the project I am lost, bereaved, wandering about like a lost soul but a whole lot more annoying to my nearest and dearest… I wasn’t always thus. If I get an idea I jot it in a notebook and let it lie. If I get another idea for it, I jot that too. But then, I’m not the most organized person around. You definitely write very well, and I’ve enjoyed what I’ve been reading! I’ve been carving out some time for reading, too – figure it gives time for stuff to sort and reorganize…you know how if you look at something sometime, but can’t see what’s wrong until you step away? I do better with one creative project at a time, but things that are more fact driven I can juggle. I self publish so while I have more than one project at the moment I concentrate on one at a time. The longer one which is a sequel to my published novel will get my attention on occasion throughout. Nice to meet you. That sounds very organised and productive! I work on more than one project at a time, maybe too many, but I know it’s a bit different as I don’t usually write much fiction. The main reason I do several is sometimes I get bored working on one thing and need to switch up. The downside is sometimes I don’t think I finish up things as properly as I had ought to. I tend to work on one project at a time currently, but that may be the luxury of being an unpublished writer. When the time comes to have to deal with two-three projects simultaneously, I like to think I’ll figure out a system, but maybe that’s overly optimistic. 🙂 Great IWSG post! No, I can’t work on two different writing projects at once. It already causes a schism in my brain having to leave off my writing to do singing, or housework — even, occasionally, to do my blogging. I’m okay with writing haiku and tanka poems, as those are composed away from my desk whilst out walking or whilst brushing my teeth! Sometimes, I make the decision to put my novel writing aside for a few days, so I can enter some competitions. Yeah, im beginning to realise that working on more than one novel at a time isn’t going to work for me. Vikki, I’m one of those nut-jobs juggling more things than I can count. I must be crazy. And to think, I took time off blogging so I could rest! Loved hearing you feel optimistic. That’s great news, and only an inkling of what’s to come. Happy IWSG. If you’re having trouble keeping characters from different stories seperate in your mind, it could be worthwhile making a few notes on their opinions, wants, back-stories, etc., so you’ve got a stronger idea of how they’re similar and how they’re different. Maybe even write a short conversation between characters so you’ve got a stronger idea on what seperates them? Its probably all in my head, the thought of getting confused. Great tips honey, thanks! 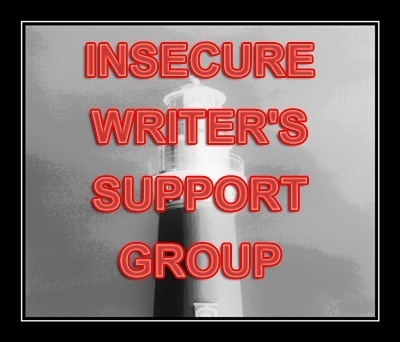 I LOVE the idea of an insecure writers’ support group… and really need one! I trained and worked first as a screenwriter, and you couldn’t possibly survive in the film & tv industry without a minimum of 6 projects on the go, admittedly all in different stages – maybe 2-3 working up pitches, a further 1-2 treatments, one full draft and one polishing/re-drafting/in notes. There is something different about prose writing though – the medium draws you in deeper, somehow. I’m in the midst of my first major prose project (the blog attached to this account) and I’m struggling to write much else at the moment. I’m going to have to sooner or later – there is no motivation in writing like bills to pay!! Thats a very good point honey, perhaps i just don’t have the right motivation. With mine, every character is just unique, so it’s easy not to sound the same. I’m usually juggling 2-3 projects at various stages. It helps when you get in that lull spot with one, you can give your brain a break and move to the next one. Well, I always have two or three projects at the same time, but not at the same stage. There are times when my brain can’t edit any longer, so I write. When all I write seems like gobbledygook, I edit! When I’m tired/can’t see a project for what it truly is anymore, I change to another one. So, you see, it all works itself out. Good luck on all your projects!! I try not to Vikki. I have a lot going on and to write just one set of characters and story line is about my limit now. I use to have many many things going and I found I never finished any of them so I’m trying one at a time. We’ll see how it goes.